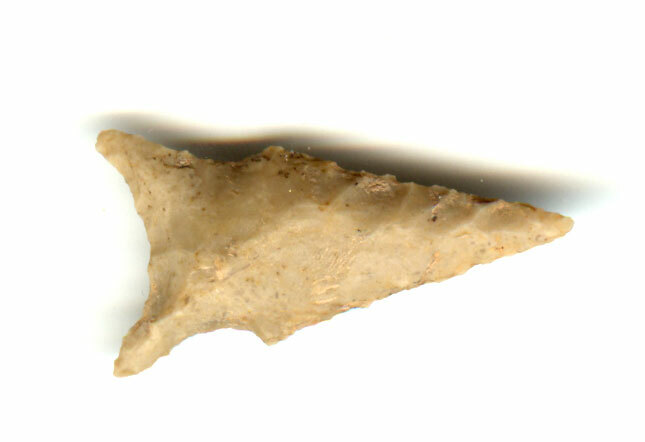 A Small Size, Visibly Aged And Well Made, Heavily Anciently Use Sharpened Fairland Point That Exhibits Surface Oxidation Aging And Overall Stone Patination, Correct Style Flaking, Correct Style Base And Overall Shape, Heavy Overall Aged Surface Deposits, Correct Material And Manufacture For The Area Found. Found In The Atascosa County Sandpit. Ex-Rob Bartell And Walter Williams Collections. This Is A Nice Example, Displaying Ancient Sharpening Use. Includes A Ken Partain Certificate of Authenticity.